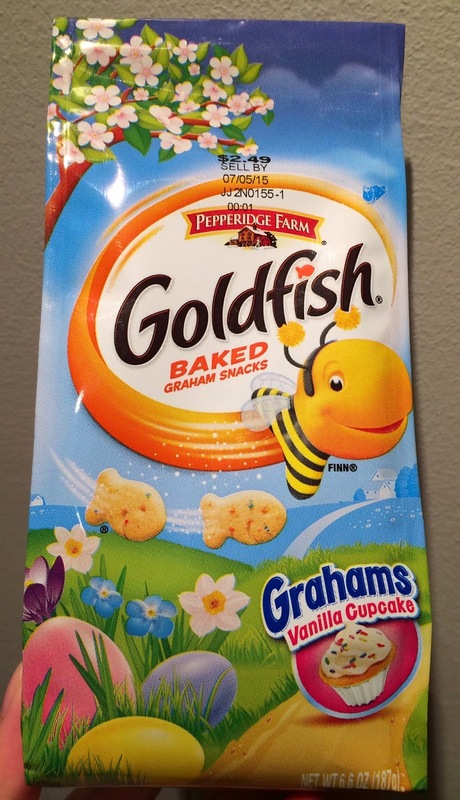 I've reviewed Goldfish Vanilla Cupcake before, but as it's got Easter package, we bought this flavor again. Over the grass, there're painted eggs and Finn is in a bee costume. The left top, the tree has flowers like Sakura. 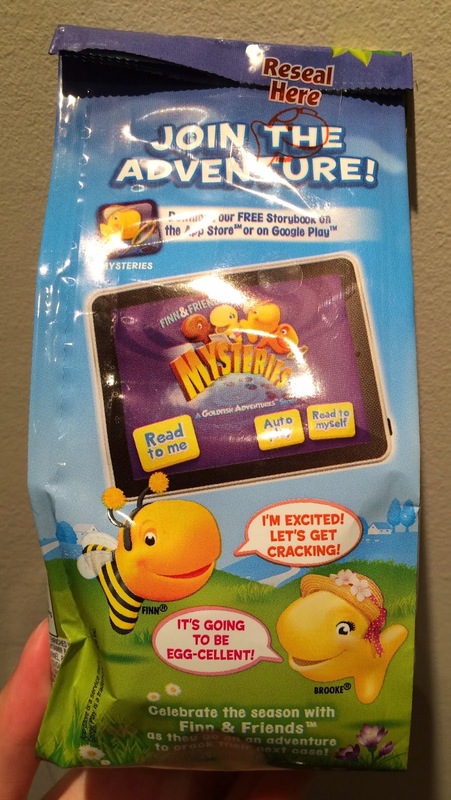 On the back, there're same puns used in Goldfish Colors Cheddar (Easter). It had sweet flavor like when you bake cakes. 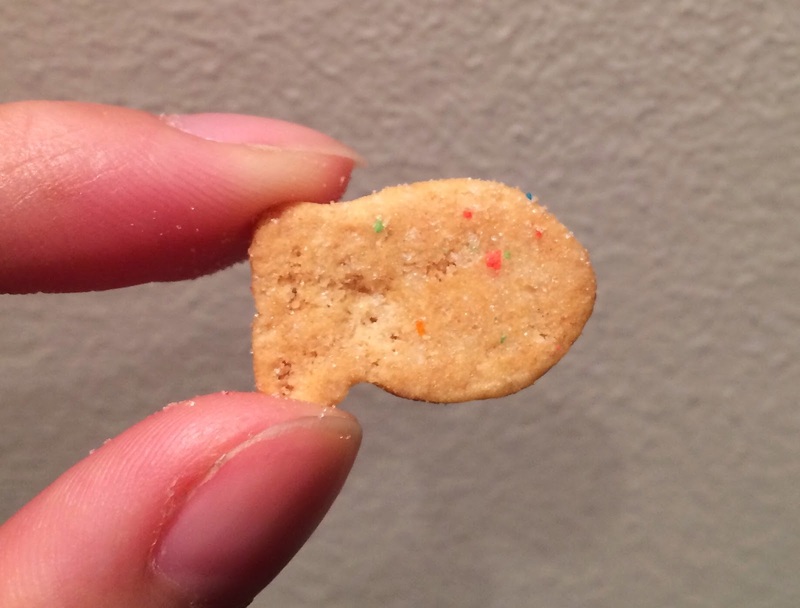 On the front (face side) was slightly darker than the bottom, and it's hard to find colorful sprinkles. At the bottom, I could see red, blue and green tiny dots clearly. 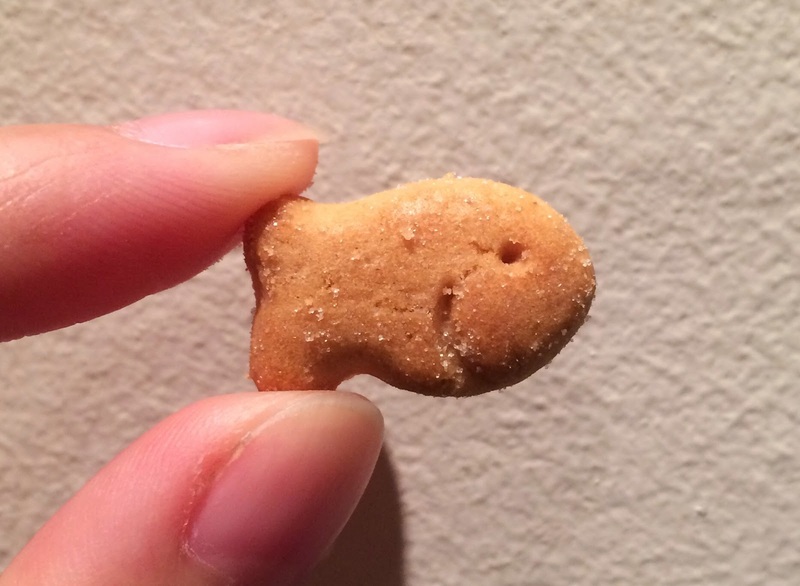 Like other Goldfish Graham, it's crispy, sweet, and flavorful. As it's not sugary sweet, I kept munching. 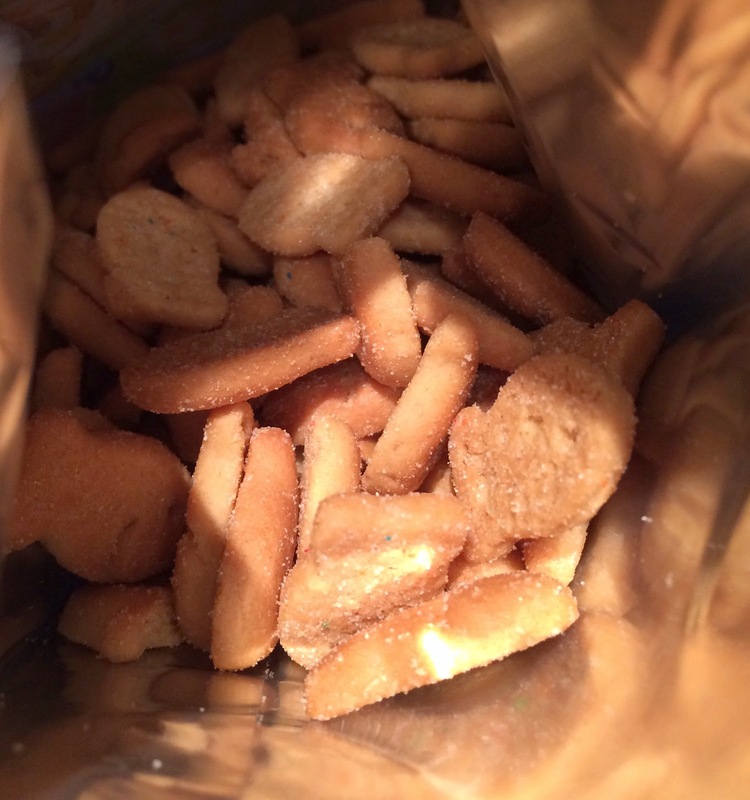 Pepperidge Farm items I reviewed are below.